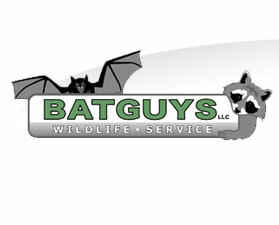 BatGuys is a professional Wildlife Removal company that operates in both Massachusetts and Rhode Island. We are licensed in both states and are fully insured. Click here for further details on our wildlife management credentials. BatGuys specializes in the removal of bats, squirrels, raccoons and skunks. We are strictly a wildlife removal company. Providing safe and effective wildlife removal is our only focus. Please click here to learn more about our services. Please visit our Wildlife Update page to see what type of animals we're currently dealing with in the field. We will update this page periodically throughout the year as the seasons change.